We also offer R/V, boat, and vehicle parking within our controlled access and fenced area. 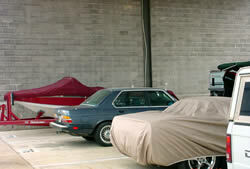 Protect your vehicles from the sun's harmful rays and damaging hail. 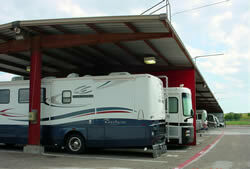 Lock n Roll offers covered parking for cars, boats, RV's, and other vehicles in our well-lit fenced area with surveillance cameras and computerized gate access. We are professionally managed with an emphasis on customer service. In every storage situation we can meet your needs!